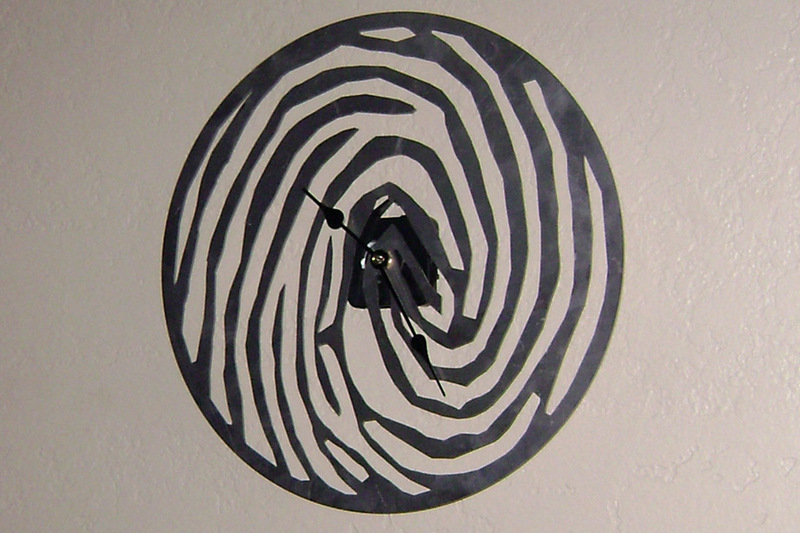 Artistic designs with your fingerprint. This striking and unique piece of art displays the beauty of friction ridge skin. Hang this custom work in your home or office. The left image is a custom fingerprint design laser-cut into mirror-finish stainless steel and mounted on a pine board stained mahogany red. On the right is a pair of fingerprints from the bride and groom with their wedding date underneath. Your made-to-order design can be cut out of almost any type of metal, wood, or plastic and then mounted to almost any type of metal, wood, or plastic. 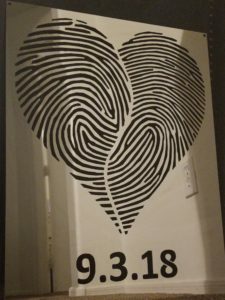 Create a custom design with your own fingerprint! 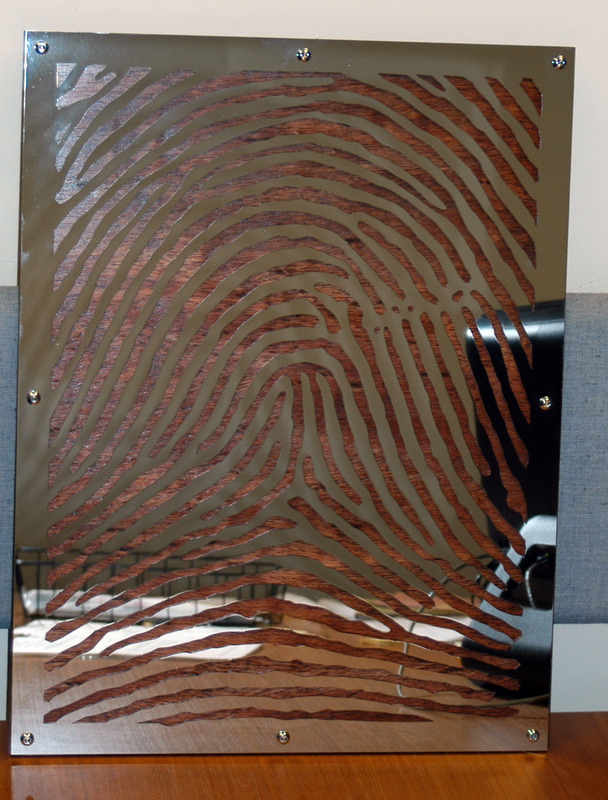 Click here for the Fingerprint Artwork Order Form or to request additional information. 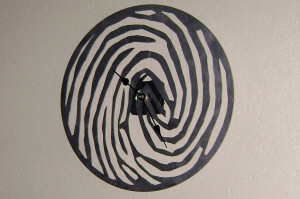 This simple but unique clock provides a cool look to your home or office. A must-have for any forensic professional. 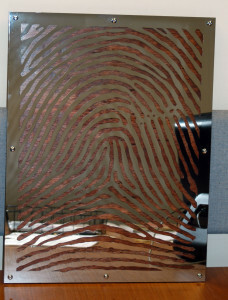 Your fingerprint can be customized like the one on the left as the perfect retirement gift. On the right is the right index finger of Sir Francis Galton is cut into 18GA aluminum in a 12″ circle. 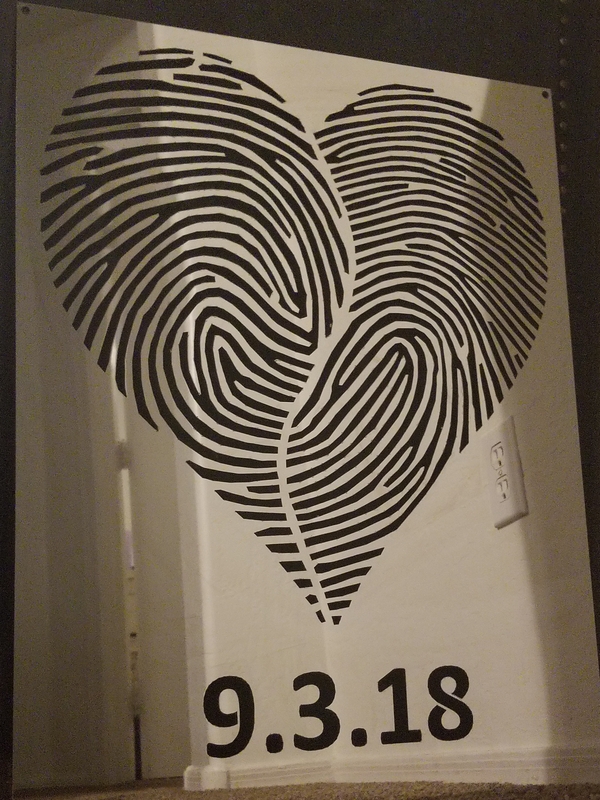 Click here for the Fingerprint Artwork Order Form or to request additional information. 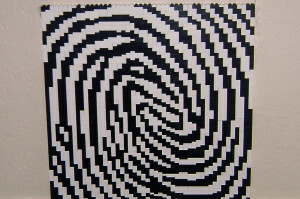 This design of Francis Galton’s fingerprint built out of Legos is a fun addition to your workspace or home. It’s even more fun to assemble on your own. Don’t have the time to put together a few hundred Legos? Order one fully assembled. 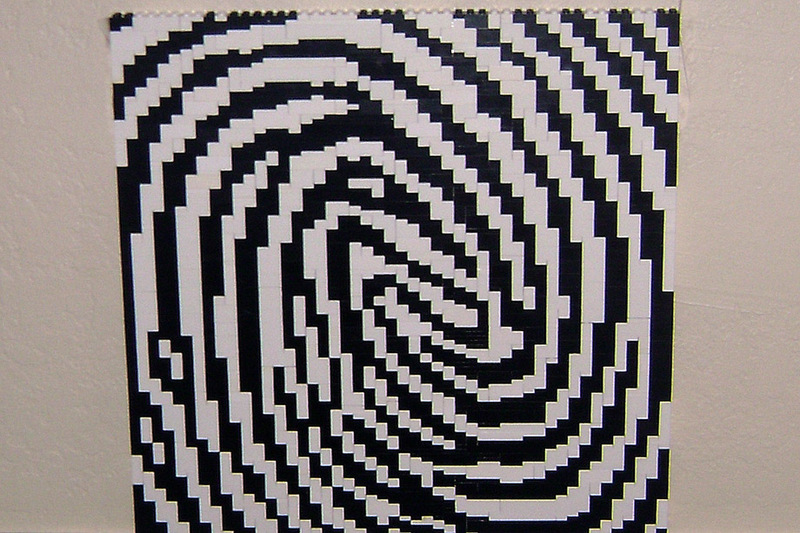 Hundreds of black and white Legos form the intricate friction ridges of this whorl in a design that measures 14″x14″. 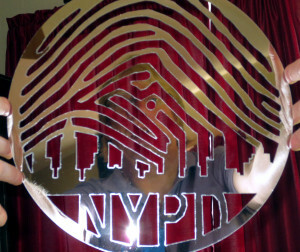 Get the one pictured below or the design for your own fingerprint. Contact for more information.